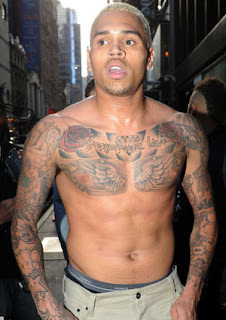 This morning Chris Brown allegendly went left/crazy/freaked out backstage Good Morning America. They said he broke out a window, and walked out of the studio shirtless after being asked a question by Robin Roberts about the Rhianna situation. I hope everything ends well.